Not long ago I attended the Fira gastronòmica del Pataco, a weekend festival dedicated to the Pataco of Alforja and the Catalan culinary tradition the dish actively represents. The festival was a surprisingly big deal. The main road running through the town was lined with over 80 street vendors and the program was packed with concerts, speeches, parades and activities. There was even a porron wine drinking competition in which I myself took part. Despite being the only one to finish my half liter of crappy table wine I lost miserably. So I kind of lost in two ways. The consolation prize was a tasty fuet that currently hangs in my kitchen. I’m waiting for it to be dry enough to eat. The main event was a communal feast of pataco, prepared in a massive kettle similar to what paella is commonly served from when the whole town comes to lunch. 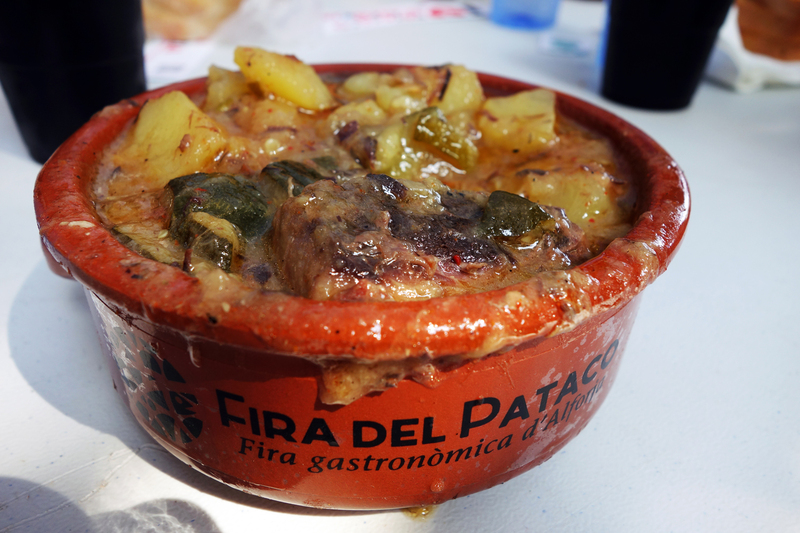 This meal has happened once a year in the town of Alforja for centuries. Manning the kitchen were five ladies clad in orange, the pataco pros of Alforja. They dished out over 800 servings of the stuff, taking care that each bowl contain some of each ingredient. The logoed earthenware bowls were included in the meal, a perfect souvenir of a great day. “What exactly is pataco?” you must be wondering by this point. I’ll tell you, friend. 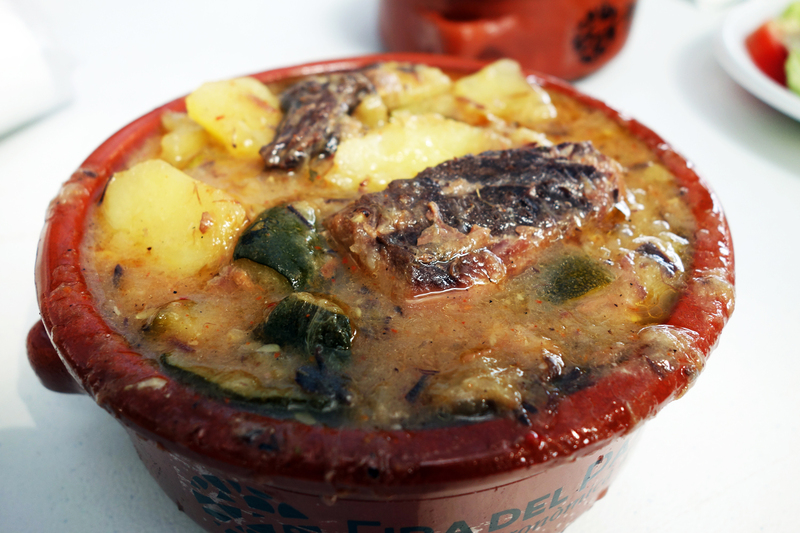 It’s an ancient dish of the Baix Camp region of Tarragona, Spain, a stew made with tuna, potatoes and zucchini. “Pataco” is pronounced with emphasis on the second syllable [pa-TA-co] in the town of Alforja but the last syllable seems to be stressed [pa-ta-CO] in surrounding towns. The name may or may not come from the type of potatoes used in the dish or it might refer to the quantity of wine contained in a quarter of a jug. In the 18th century the word “pataco” referred to a large copper coin, so maybe the stew is named after the large copper pot in which it was originally cooked. Some believe the name simply comes from a misspelling of potaje, the Spanish term for “stew.” The truth is that no one really knows, cares or remembers how this dish came to be so long ago. What’s important is that it exists, has gone on existing for centuries and that the people of Alforja care enough about it to dedicate two days to celebrating its existence. What is for sure true is that pataco is not a dish born on the coast. It’s not a fisherman’s stew. The tuna used is the roughest trash meat of the animal, the gills that fishermen used to get rid of by selling to mountain towns for cheap. Farmers in these towns cooked the chunks up midday and one of the dishes they incorporated them into was pataco. The stew also contains potatoes, zucchini, garlic and crushed tomatoes. As zucchini and ripe tomatoes are in season at the end of the summer the stew is most commonly prepared during this time. As I understand it, pataco is most popular during the month of August. It’s crucial to wash and drain well the tuna before cooking it, as the fish comes packed with massive amounts of salt. No additional salt is added during the cooking process and the stew is flavored with black pepper and paprika alone. Some families, no doubt vineyard workers, also added some light white wine to flavor the dish. Some got even more fancy and added chopped hazelnuts and toasted almonds, which are grown locally in the Priorat. Pataco is a savory thing, well balanced with tremendous flavor coaxed out of the ingredients by hours of cooking. The tuna had been drained properly, so the stew was not overly salty and the vegetables were not overpowered by the taste of the fish. The variety of textures in each spoonful make the stew a pleasure to eat. Tiny flakes of tuna suspended in the liquid soak up the moisture and offer body to the broth itself. The potatoes and collagen from the slimy fish skin act as natural thickeners and render additional flour or starch unnecessary. This keeps the summer soup relatively light in consistency. The fish itself is overcooked as it kind of needs to be to become soft. The flesh, nevertheless, flakes apart easily and is very flavorful indeed. Potatoes are tender, tomatoes melt into a flavorful mash and the ripe zucchinis offer a gentle crunch to each bite. I come from a world where thick, hot stews like this are prepared during cold winter months to warm your bones, so I’m not quite used to seeing such delicate summer vegetables as zucchini in a stew. It’s something I could definitely get used to. In attendance at the fira was Pepa Aymamí, Director of the Catalan Culinary Institute (FICCG), whose main project is the Cuina Catalana Patrimoni de la Humanitat: Candidatura UNESCO 2013. FICCG seeks to add Catalan cuisine to UNESCO’s Representative List of the Intangible Cultural Heritage of Humanity. 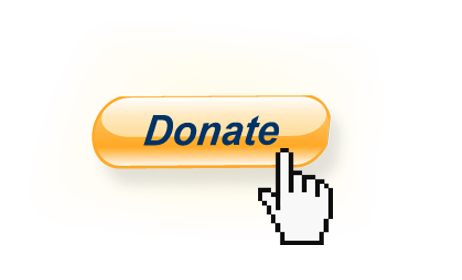 The campaign is a national project, uniting initiatives carried out all over Catalunya to help keep the population aware of the rich culinary heritage handed down over centuries of history. Although I don’t like to get too involved in anything fiercely Catalan (as a way of staying far away from the politics behind this pride, of which I choose to remain stubbornly ignorant), the project is founded on solid principles. Catalan cuisine has a very well documented historical tradition, with some recipes dating back to the 13th and 14th century. Traditional dishes are based on the variety of products found within the Catalan territory instead of relying too much on important goods. Chefs like Ferran Adrià, Carles Gaig, Sergi Arola and the Roca bros have directed the world’s attention to Catalan cuisine in the past decade, providing momentum for the project. Though their style is modern, evolved and revolutionary on the surface, it’s also deeply rooted in tradition. The more I talked to Pepa the more inspired I felt to explore everything this region of Catalunya has to offer. Her passion for the project is palpable and contagious, her approach 100% authentic. She’s a lady in whose work I have tremendous respect and it was a pleasure to have had the chance to run into her while stuffing my face with a wonderful regional classic. September 11, 2014 in BAIX CAMP. We’re happy you enjoy it, but You only tasted one of our typical meals, must come back next year and ask for the “Mandongo” or “the Arròs de tros” You are invited!